Socialist nostagia is a powerful thing in northeast Asia. Kim Jong-un — or, perhaps more correctly, the committee who writes his speeches — evinces a key understanding of this nostalgia, and has wielded it at various times. 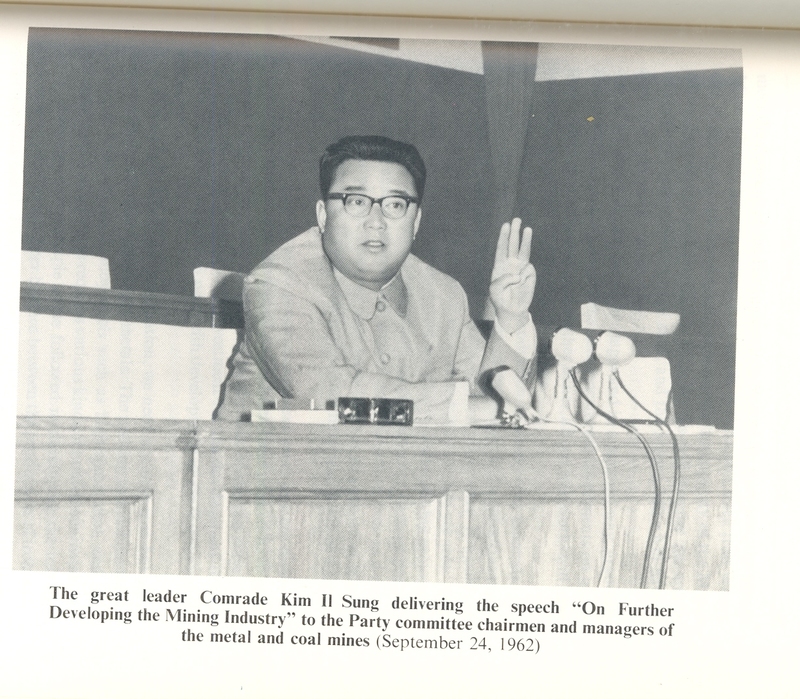 The period of state consolidation, the years from 1945-1948, are a particular touchstone for the North Korean leader. Kim Jong-un’s land reforms, put forward in June 2012, are an echo of his grandfather’s reforms of 1946 and were expclictly interpreted in state media as such. His propaganda has described with some joyousness the parallels between himself and the optimism of the early liberation era. Even the current notion that the leader needed to be protected from assassination is told today through the prism of the 1940s, through the celebrated anecdote of a Russian, who arrived just in time to save Kim Il-song from a hostile grenade on Sam-il, March 1, 1946, in the long wake of a student revolt. Which brings us to another Russian not adverse to acts of generous bravery, or at least boldness: Dr. Lankov. One of the great cautions that Lankov yields up in his work is the danger of hindsight, or of reading North Korean rebelliousness and anger at the state backwards. The oft-repeated bromide that after the Korean War, the DPRK outstripped the ROK in terms of industrial output and other economic measures until the early 1970s still applies. The state’s grain supply for individuals lasted from 1957 until the 1990s. Complain if one must about foreign subsidies that propped this system up, but this was interpreted by the fed population, certainly, as a cornerstone of Kimist legitimacy, along with nationalism and a sense of siege identity. Socialist nostalgia for the pure era of state conslidation is, of course, not merely a North Korean phenomenon and it is shared in the region. Scholars in Chinese Studies are returning increasingly to the era of state formation in the People’s Republic of China, the state founded in 1949. (Here the North Koreans can legitimately pretend to be the elder brothers of the Chinese, as they were “present at the creation” of the PRC.) While the Great Leap Forward (1958-1961) and the Cultural Revolution (1966-1976) are seen as the great traumatic acts, increasingly attention is being turned to the early 1950s, and specifically how violent they were. Andrei Lankov’s new text functions as a gloss on, and a distillation of, his previous work. In that sense it is rather like Bruce Cumings’ miniaturized The Korean War (Modern Library, 2011). This is not a text where a great deal of new research will be trotted out, nor is it clotted up with footnotes from the author’s new research. But taking the time to reflect, and having the ability to write with some salt, is worth a great deal. Factionalism and purges are a vital element in Lankov’s contribution to the historiography, and this text revisits some of that work. Kim Jong-un has seen his moment in history with Ri Yong-ho, but this is nothing compared to the long series of internecine battles — bureaucratic and otherwise — that Kim Il-sung had with his own cohort. These historical episodes, looking again at how Kim settled into power, are particularly useful to revisit today as a scattering of other new “competitor books” seek to reinterpret the Manchurian guerrilla experience. Andrei Lankov, The Real North Korea: Life and Politics in the Failed Stalinist Utopia (Oxford University Press). ISBN: 0199964297 (Forthcoming: May 8, 2013). Andrei Lankov, North of the DMZ: Essays on Daily Life in North Korea (Jefferson, N.C. and London: McFarland & Co., 2007). Adam Cathcart and Charles Kraus, “Peripheral Influence: The Sinuiju Student Incident and the Soviet Occupation of North Korea, 1945-1947,” Journal of Korean Studies Vol. 13, No. 1 (Fall 2008), 1-28. Julia Strauss, “Paternalist Terror: The Campaign to Suppress Counterrevolutionaries and Regime Consolidation in the People’s Republic of China, 1950-1953,” Comparative Studies in Society and History, 44:1 (Jan., 2002): 80-103.